Home /Knowledge Base /General Credit Repair Business Questions /How do I setup email marketing? We’re not an email marketing platform, so email marketing is something you will do on your own outside of our credit repair cloud software. For newsletters and marketing emails, you’ll want to checkout email marketing platforms like Mailchimp, Constant Contact, SteamSend and others. A Free MailChimp account lets you send tons of emails for free and they have tons of awesome templates that are also free. If you’re researching a good email marking and newsletter provider, here is an awesome article at Zapier: See the 25 Best Email Marketing Apps. Email marketing companies may refuse you service. If they believe you might be a risk to their reputation or if you get a lot of spam complaints, you will be denied service or canceled with no warning. 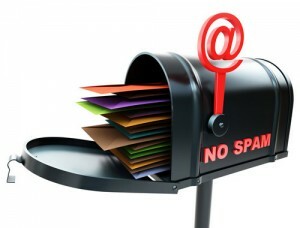 Laws have changed and email marketing companies have many new rules to follow. Marketing emails must all be opt-in, you must provide a link to unsubscribe and you cannot never send mass emails to lists that you’ve purchased. Those days are over. If you’re planning to send unsolicited emails to consumers who haven’t requested those emails, you will be quickly shut down as a spammer and your domain name will be black listed. Once that happens, no one will receive your emails from your domain at all. We recommend that you do not send mass emails at all. We also recommend that you DO NOT buy email lists. These will get you into trouble. Instead, build your business by referrals from affiliates. It’s a much better way to go. It will pay off faster and it won’t damage your business. Rather than jumping into email marketing or spending money on advertising, there are better (free) ways to market your business, with affiliates, and more.